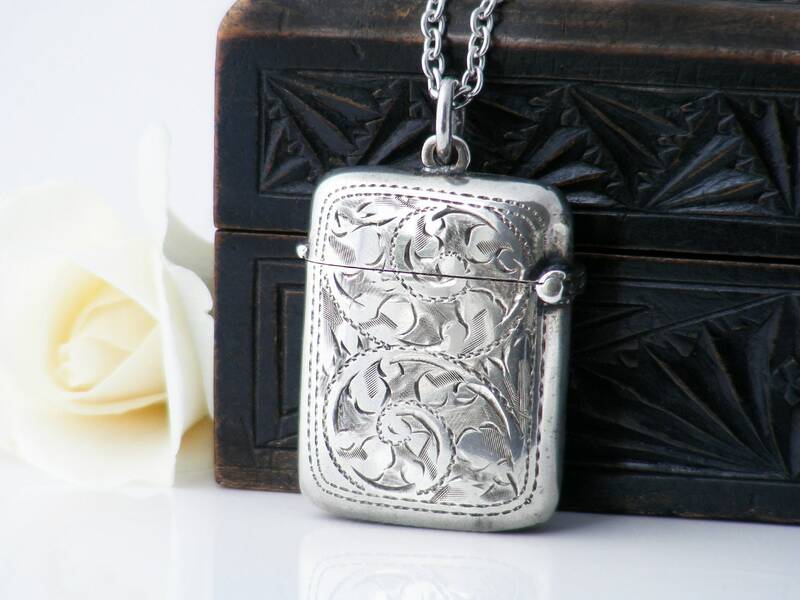 An Edwardian lady's sterling silver antique vesta case, originally made to attach to a woman's chatelaine clip. 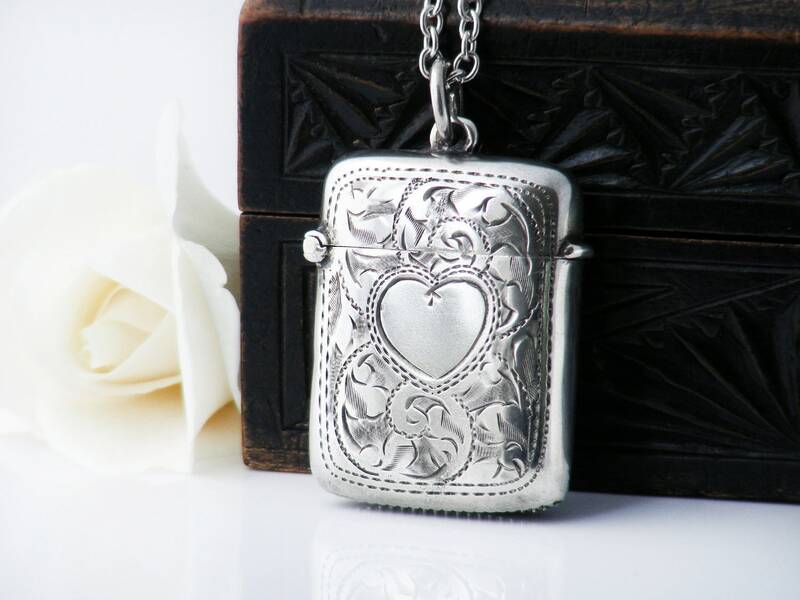 Wonderful as a locket to hold that special message or love token - a generous heart shaped cartouche awaits that special initial. 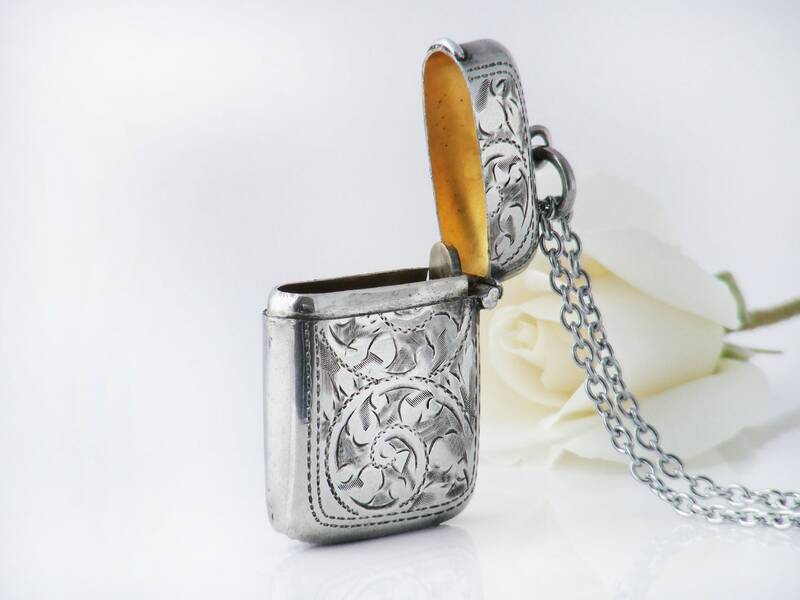 With a classic hand chased pattern of swirling acanthus fronds on both sides, the highly polished case has a lovely surprise - the inside is brightly gilded giving a gorgeous pop of gold as it is opened. 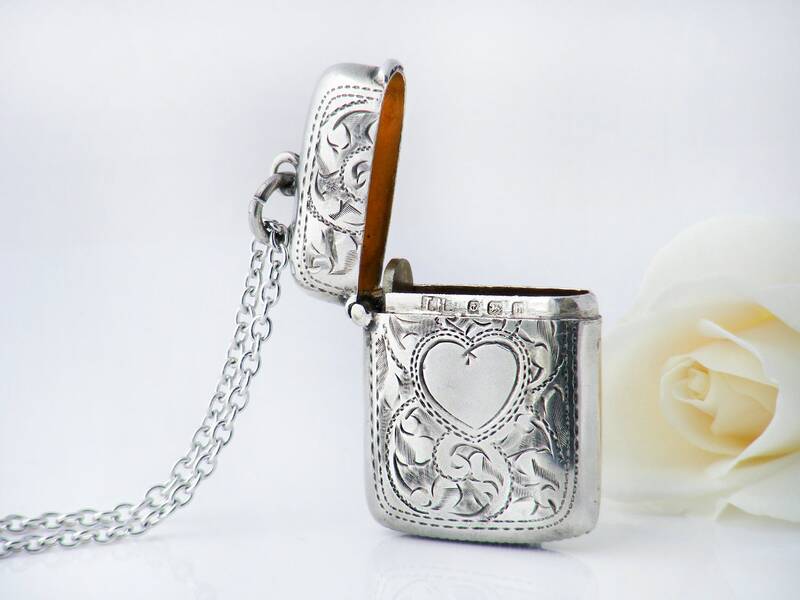 Sterling Silver: The vesta case has full hallmarks for sterling silver from Birmingham, England and the year 1901. The maker's mark 'T.H.H' is also present - this is the stamp of T H Hazlewood & Co, silversmiths of Birmingham. The lovely fat original suspension ring is also sterling silver. 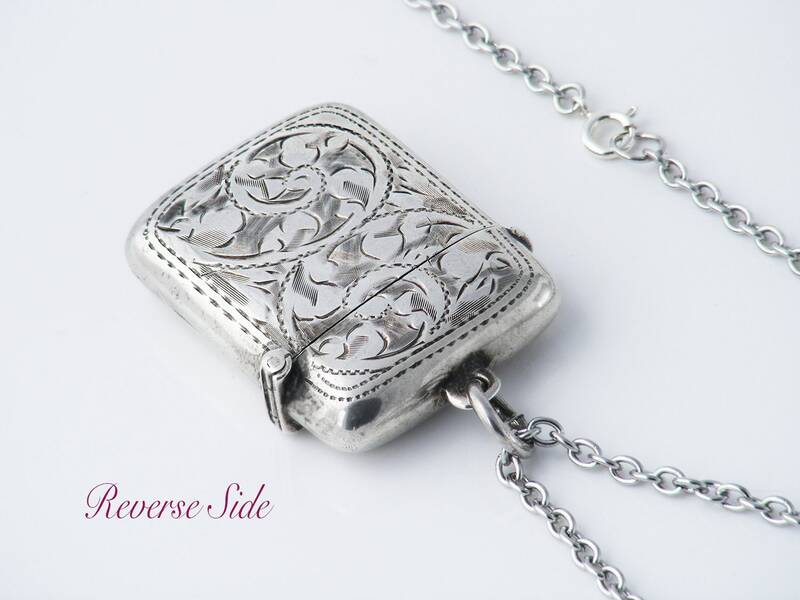 The flip top has a great little mechanism as part of the hinge to ensure that the lid opens and closes firmly and will not drop shut or open unexpectedly. A very secure case. 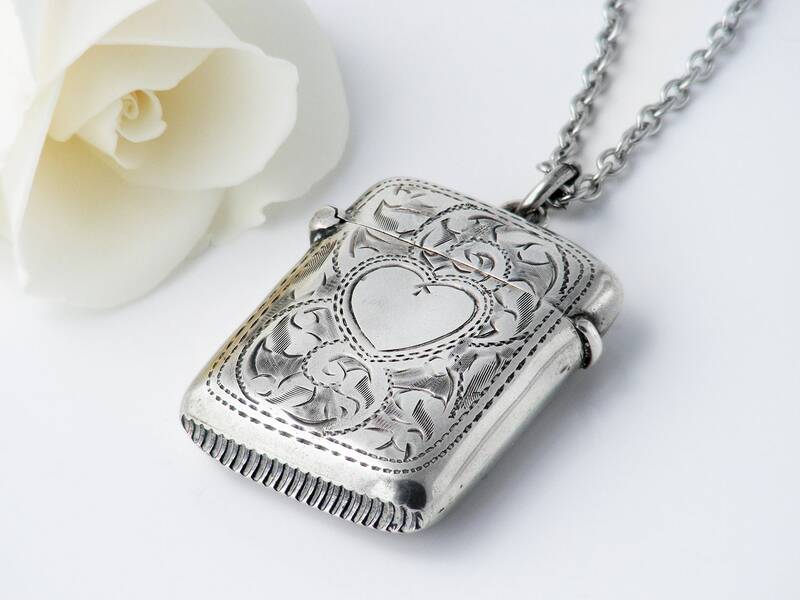 Size: The smaller sized case is a softly rounded rectangle measuring 1 x 1.5 inches (32 x 42mm) and approximately 9mm in thickness. Condition: Excellent. Hallmarks are clear, the sprung hinge is working perfectly, closure is tight and firm with no gaps whatsoever. 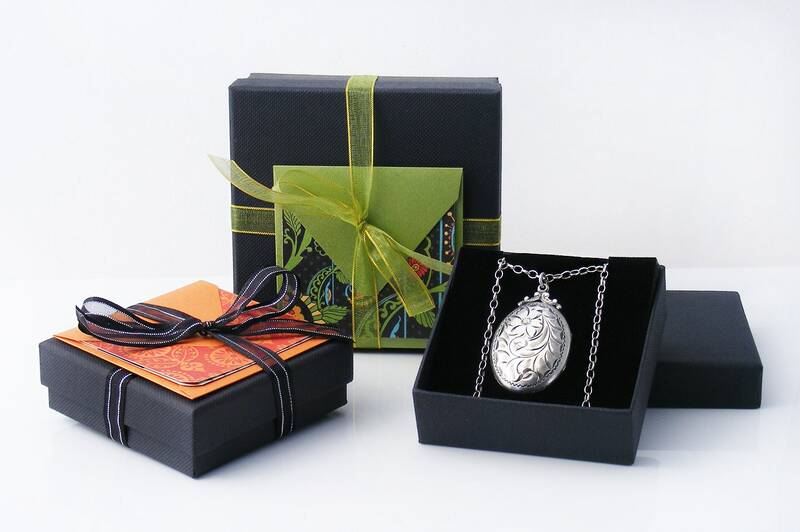 No dings or nasty scratches, the silver is smooth and lovely to handle with beautiful patina. 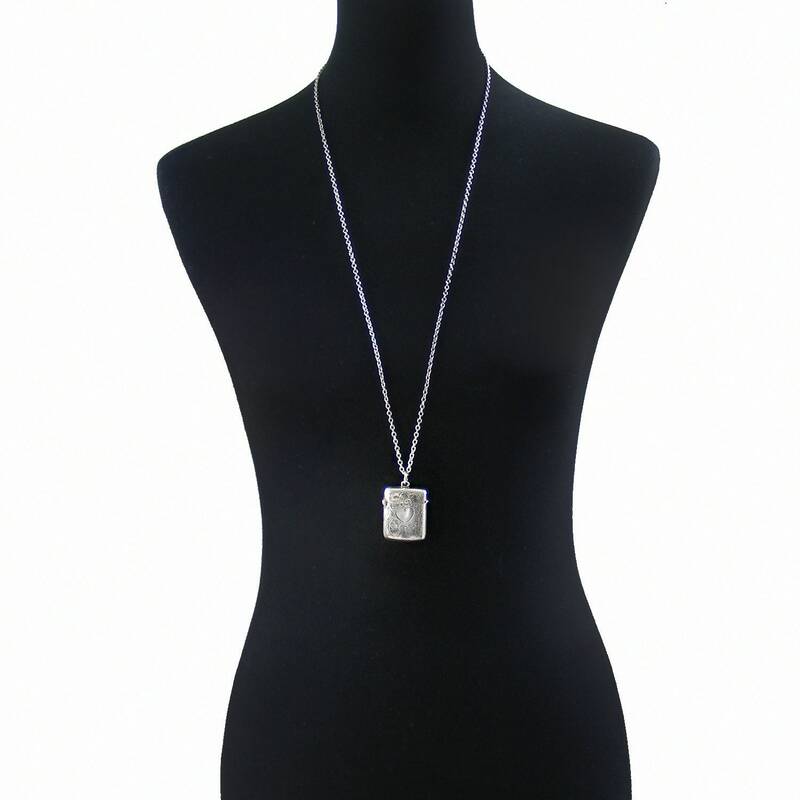 The Chain: Presented on a stainless steel chain, 34 inches or 86cm long. The color of stainless steel suits aged silver exceptionally well and is hypoallergenic. Shown on a life size torso in image #3. 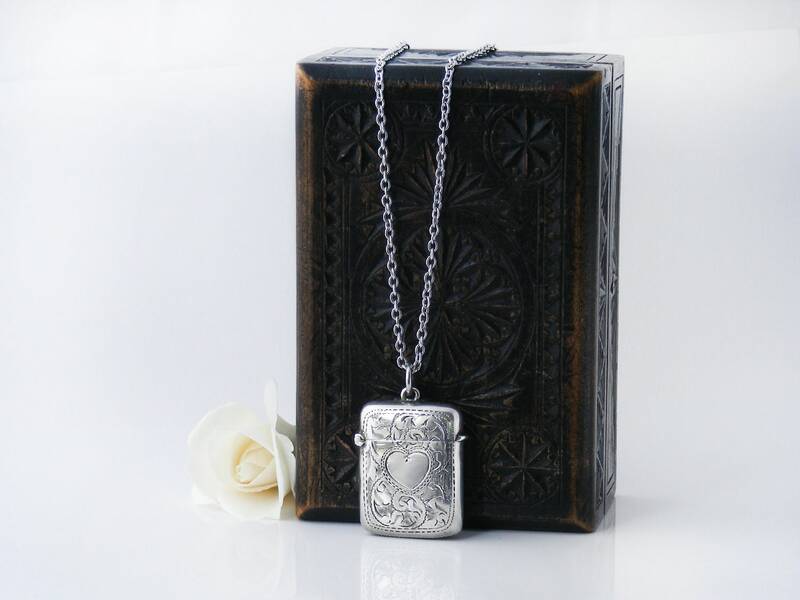 A vesta case in wonderful condition, perfect size for a locket or secure medication. Beautifully designed and made.